The Triple Agent NPR coverage of The Triple Agent: The al-Qaeda Mole Who Infiltrated the CIA by Joby Warrick. News, author interviews, critics' picks and more. A Pulitzer Prize-winning intelligence reporter presents a narrative account of a mysterious Jordanian agent that describes how he infiltrated both al-Qaida and the CIA before killing himself and seven CIA operatives in a suicide bombing, an event that revealed sobering agency weaknesses. July 19, 2011  In December 2009, an al-Qaida mole believed to be a CIA informant detonated a suicide bomb inside a fortified military base in Pakistan, killing seven CIA employees. Reporter Joby Warrick writes about the man who pulled off the attack — and explains how he did it — in The Triple Agent. For ten days the CIA team waited for the mysterious Jordanian to show up. From gloomy mid-December through the miser­able holidays the ofﬁcers shivered under blankets, retold stale jokes, drank gallons of bad coffee, and sipped booze from Styrofoam cups. They counted distant mortar strikes, studied bomb damage reports, and listened for the thrum of Black Hawk helicopters ferrying wounded. And they waited. Christmas morning arrived on a raw wind, and still they sat. They picked at gingerbread crumbs in the packages sent from home and stared at the ceramic Nativity ﬁgurines one of the ofﬁ cers had set up in lieu of a tree. Then it was December 30, the last dregs of the old year and the tenth day of the vigil, and ﬁnally came word that the Jordanian agent was on the move. He was heading west by car through the mountains of Pakistan's jagged northwestern fringe, wearing tribal dress and dark sunglasses and skirting Tal­iban patrols along the treacherous highway leading to the Afghan frontier. Until now no American ofﬁcer had ever seen the man, this spec­tral informant called "Wolf," whose real name was said to be known to fewer than a dozen people; this wily double agent who had pene­trated al-Qaeda, sending back coded messages that lit up CIA head­quarters like ball lightning. But at about 3:00 p.m. Afghanistan time, Humam Khalil al-Balawi would step out of the murk and onto the fortiﬁed concrete of the secret CIA base known as Khost. The news of his pending arrival sent analysts scurrying to ﬁnal­ize preparations. Newly arrived base chief Jennifer Matthews, barely three months into her ﬁrst Afghan posting, had fretted over the details for days, and now she dispatched her aides to check video equipment, ﬁre off cables, and rehearse details of a debrieﬁng that would stretch into the night. She watched them work, nervous but conﬁdent, her short brown hair pulled to the side in a businesslike part. At forty-ﬁve, Matthews was a veteran of the agency's counterterrorism wars, and she understood al-Qaeda and its cast of fanatical death worshippers bet­ter than perhaps anyone in the CIA—better, in fact, than she knew the PTA at her kids' school back home in Fredericksburg, Virginia. Hard-nosed and serious, Matthews was one of the agency's rising stars, beloved by upper management. She had leaped at the chance to go to Khost in spite of the quizzical looks from close friends who thought she was crazy to leave her family and comfortable suburban life for such a risky assignment. True, she would have much to learn; she had never served in a war zone, or run a surveillance operation, or managed a routine informant case, let alone one as complex as the Jordanian agent. But Matthews was smart and resourceful, and she would have plenty of help from top CIA managers, who were following developments closely from the agency's Langley, Virginia, headquarters. Their advice so far: Treat Balawi like a distinguished guest. Matthews signed off on a security plan for the visit, though not without carping from some of the Special Forces veterans in her security detail. Her primary concern was not so much for the agent's physical safety—the men with the guns would see to that—but rather for preserving his secret identity. The CIA could not afford to allow him to be seen by any of the scores of Afghans working at the base, except for the trusted driver who was now on his way to pick him up. Even the guards at the front gate would be ordered to turn away to avoid the risk that one of them might glimpse Balawi's face. Matthews picked a secure spot for the meeting, a gray concrete building in a part of the base that served as the CIA's inner sanc­tum, separated by high walls and guarded by private security con­tractors armed with assault riﬂes. The building was designed for informant meetings and was lined on one side by a large awning to further shield operatives from view as they came and left. Here, sur­rounded by CIA ofﬁcers and free from any possibility of detection by al-Qaeda spies, the Jordanian would be searched for weapons and wires and studied for any hint of possible deception. Then he would ﬁll in the details of his wildly improbable narrative, a story so fantastic that few would have believed it had the agent not backed it up with eye-popping proof: Humam al-Balawi had been in the presence of al-Qaeda's elusive No. 2 leader, the Egyptian physician Ayman al-Zawahiri, one of the twisted brains behind dozens of ter­rorist plots, including the attacks of September 11, 2001. 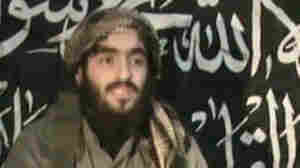 And now Balawi was going to lead the CIA right to Zawahiri's door. When the debrieﬁng was over, a medical ofﬁcer would check Balawi's vitals, and a technical team would outﬁt him for the dan­gerous mission to come. Then everyone could relax, have a bite to eat, perhaps even a drink. And there would be a surprise, a birthday cake. The Jordanian had just turned thirty-two on Christmas Day, a trivia plum that Matthews had been pleased to discover. In fact his special birth date had very nearly caused him to be named Isa—Jesus, in Arabic—before his parents changed their minds and decided instead on Humam, meaning "brave one." And now this same Humam was speeding toward Khost with what could well be the agency's greatest Christmas present in many a season, an intelli­gence windfall so spectacular that the president of the United States had been briefed in advance. As she waited for the Jordanian, Matthews's head swirled with questions. Who was this man? How did anyone get close to Zawa­hiri, one of the most reclusive and carefully protected humans on the planet? So much about the Balawi case was confusing. But Mat-thews had her orders, and she would not fail or ﬂinch. Balawi would be given a ﬁtting reception. There were no birth­day candles at the CIA's forward base in violent eastern Afghanistan. But the Jordanian would have his cake. That is, if he ever showed up. By 3:30 p.m. the entire team was ready and waiting outside the interrogation building. Another thirty minutes dragged by without news from the Jordanian, and then an hour, and now the sun was slumping toward the tops of the mountain peaks west of Khost. The temperature dropped, and the nervous adrenaline congealed into plain nervousness. Had something happened? Had Balawi changed his mind? There were no answers and nothing to do but wait.The group of men and women beneath the metal awning had grown to fourteen, an oddly large gathering for an informant meet­ing. Normally, the imperative to shield a spy's identity dictates that no more than two or three ofﬁcers are ever allowed to see him. But as was quickly becoming clear, there was nothing normal about the Balawi case. There was a sense of destiny, of history being made, one CIA participant in the events later recalled. "Everyone," the ofﬁcer said, "wanted to be involved in this one." Gradually the ofﬁcers segregated themselves into small groups. The security detail, two CIA employees, and a pair of guards work­ing for the private contractor Xe Services LLC, commonly known as Blackwater, stood near the gate, talking in low voices, M4s slung over their backs. Three of the men were military veterans, and all four had become chummy. Pipe-smoking Dane Paresi, a former Green Beret and one of the oldest in the group at forty-six, had joined Blackwater after a career that included stints in multiple hell­holes, most recently Afghanistan, where his conduct under ﬁ re had earned him the Bronze Star. Iraq veteran Jeremy Wise, thirty-ﬁve, an ex-Navy SEAL with an infectious grin, had signed up with the security contractor to pay the bills after leaving active service and was struggling to ﬁgure out what to do with his life. Security team leader Harold E. Brown Jr., thirty-seven, was a former army intel­ligence ofﬁcer and devoted family man who taught Roman Catholic catechism classes and led Cub Scouts back in Virginia. Scott Roberson, thirty-eight, had been a narcotics detective in Atlanta in a previous life, and he was looking forward to becoming a father in less than a month. Nearer to the building, two men in civilian jeans and khakis chatted with the ease of longtime friends. Both were guests at Khost, having ﬂown to Afghanistan from Jordan to be present at Balawi's debrieﬁng. The big man with ink black hair was Jorda­nian intelligence captain Ali bin Zeid, a cousin of King Abdul­lah II of Jordan and the only one in the group who had ever met Balawi. Darren LaBonte, an athletic ex–Army Ranger who sported a goatee and a baseball hat, was a CIA ofﬁcer assigned to the agen­cy's Amman station. The two were close friends who often worked cases together and sometimes vacationed together along with their wives. Both had been anxious about the meeting with Balawi, and they had spent part of the previous day blowing off steam by snap­ping pictures and puttering around on a three-wheeler they had found. A larger group clustered around Matthews. One of them, a strik­ing blonde with cobalt blue eyes, had been summoned from the CIA's Kabul station for the meeting because of her exceptional skills. Elizabeth Hanson was one of the agency's most celebrated targeters, an expert at ﬁnding terrorist commanders in their hiding places and tracking them until one of the CIA's hit teams could move into place. She was thirty but looked even younger, bundled up inside a jacket and oversize ﬂannel shirt against the December chill. The wind was picking up, and the late-afternoon shadows stretched like vines across the asphalt. A frustrated boredom set in, and ofﬁcers ﬁdgeted with their cell phones. Paresi set down his weapon and tapped out an e-mail to his wife. Mindy Lou Paresi was airborne at that moment, ﬂying back to Seattle from Ohio with the couple's youngest daughter after holiday visits with family. As he often did, Paresi would leave a message that his wife would see when she landed, just letting her know that he was OK.
"E-mail me when you get to the house," he wrote. "I love you both very much." Jeremy Wise stepped away from the others to make his phone call. The Arkansas native was feeling strangely anxious, so much so that he wondered if he was coming down with something. He dialed his home number, and when the answering machine picked up, the disappointment clearly registered in his voice. "I'm not doing very well," he said, speaking slowly. He hesitated. "Tell Ethan I love him." Bin Zeid was the only one with a direct line to Balawi, and his phone had been distressingly silent. The big man now sat quietly, clutching his mobile between thick ﬁngers. It was bin Zeid who had gone over the arrangements with the agent—Balawi had been his recruit after all—and now the possibility of failure loomed over him like a leaden cloud. On top of it all, both he and his CIA part­ner, LaBonte, had personal reasons for wanting out of Afghanistan in a hurry. LaBonte's entire family, including his wife and their baby daughter, was waiting for him in an Italian villa they had rented for the holidays, and the delays had already eaten up most of his vaca­tion. Bin Zeid, who was newly married, had made plans to spend New Year's Eve with his wife back in Amman. When his phone ﬁnally chirped, it was a text message from dark-haired Fida, asking her husband if he was positive he would be home the following evening. Bin Zeid tapped out a terse reply. "Not yet," he wrote. Just after 4:40 p.m. bin Zeid's phone ﬁnally rang. The number in the caller ID belonged to Arghawan, the Afghan driver who had been dispatched to the border crossing for the pickup. But the voice was Balawi's. The agent apologized. He had injured his leg in an accident and had been delayed, he said. Balawi had been anxious about his ﬁrst meeting with Americans, and he asked again about the procedures at the gate. I don't want to be manhandled, he kept repeating. You'll treat me like a friend, right? he asked. By now a column of dust from Afghawan's red Outback was already visible from the guard tower. The driver was moving fast to thwart any sniper who might happen to have a scope trained on the road in time to see an unescorted civilian vehicle heading for the American base. In keeping with the CIA's instructions and, coincidentally, with Balawi's wishes, there would be no fumbling or checking IDs at the gate. On cue, the Afghan army guards at the front gate rolled back the barriers just enough to let Arghawan roar past. The Afghan driver then veered sharply to the left and followed a ribbon of asphalt along the edge of the airﬁeld to a small second gate, where he was again waved through. Now Matthews could see the station wagon entering the com­pound where she and the others were waiting. Matthews had asked bin Zeid and LaBonte to greet Balawi while she and the other ofﬁcers kept a respectful distance, spread out in a crude reception line beneath the awning. She began making her way to a spot at the front of the line, straightening her clothes as she walked. Security chief Scott Roberson and the two Blackwater guards unslung their riﬂes and made their way across the gravel lot, but the arriving Outback cut them off. The car rolled to a halt with the driver's door positioned directly in front of the spot where Matthews was standing. Arghawan was alone in the front seat, his face nearly obscured by the thick ﬁlm of dust that coated the windows. The ﬁgure sitting directly behind him in the backseat was hunched for­ward slightly, and Matthews strained to make out the face. The engine was cut, and in an instant Roberson was opening the rear door next to Balawi. The man inside hesitated, as though studying the guards' weap­ons. Then, very slowly, he slid across the seat away from the Ameri­cans and climbed out on the opposite side of the car. Now he was standing, a short, wiry man, perhaps thirty, with dark eyes and a few matted curls visible under his turban. He was wearing a beige, loose-ﬁtting kameez shirt of the type worn by Pash­tun tribesmen and a woolen vest that made him look slightly stout around the middle. A long gray shawl draped his shoulders and covered the lower part of his face and beard. The man reached back into the car to grab a metal crutch, and as he did, the shawl fell away to reveal a wispy beard and an expression as blank as a marble slab. As the others watched in confused silence, the man started to walk around the front of the car with an awkward, stooped gait, as though struggling under a heavy load. He was mumbling to himself. Bin Zeid waved to Balawi but, getting no response, called out to him. "Salaam, akhoya. Hello, my brother," bin Zeid said. "Everything's OK!" But it wasn't. Blackwater guards Paresi and Wise had instinc­tively raised their guns when Balawi balked at exiting on their side of the car. Paresi, the ex–Green Beret, watched with growing alarm as Balawi hobbled around the vehicle, one hand grasping the crutch and the other hidden ominously under his shawl. Paresi tensed, ﬁn­ger on the trigger, eyes ﬁxed on the shawl with instincts honed in dozens of ﬁreﬁghts and close scrapes. One shot would drop the man. But if he was wrong—if there was no bomb—it would be the worst mistake of his life. He circled around the car keeping the ambling ﬁgure in his gun's sight. Steady. Wait. But where's that hand? Now he and Wise were shouting almost in unison, guns at the ready. "Hands up! Get your hand out of your clothing!" Balawi's mumbling grew louder. He was chanting something in Arabic. "La ilaha illa Allah!" he was saying. There is no god but God. Bin Zeid heard the words and knew, better than anyone, exactly what they meant. 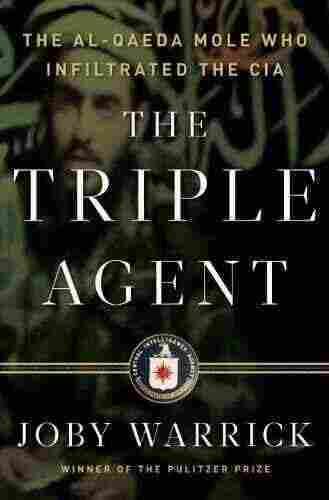 Excerpted from The Triple Agent: The al-Qaeda Mole who Infiltrated the CIA by Joby Warrick. Copyright 2011 Joby Warrick. Reprinted with permission of Knopf Doubleday.